leave it to our experienced staff to ensure your day runs like clockwork. we go that extra mile to make your business our business with our dedicated conference area. covering two floors, the conference area has nine state of the art meeting rooms accommodating up to 300 delegates. we’ve got all you would expect from a conference facility – wifi, the latest av technology and the rest. our 5 meeting rooms are reimbursed to the highest standard to make your business day run effectively as possible. all our meeting spaces offer a delicious food & drinks menu to keep your energy levels topped up through your day. further more the gibson hotel is only one of the best choices for your business meeting; just 15 minutes from Dublin airport, the hotel finds itself nestled between the cities main transport links the convention centre and a variety of the cities popular venues. be it business or leisure our function rooms are capable of delivering a variety of private functions. 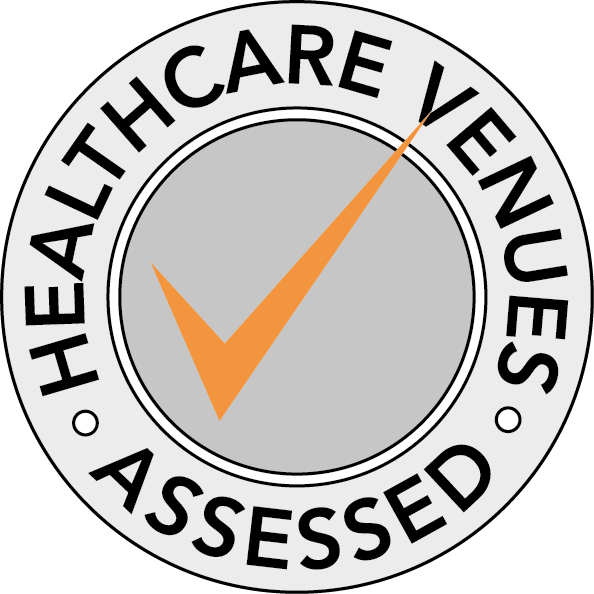 heralded as one of Dublin’s most unique venues we are confident in delivering a fantastic top notch event for you and your group. the gibson hotel team are always on hand to turn our meeting spaces into your event or function. speak with our experienced events team on 01 681 5000 or email meetingsandevents@thegibsonhotel.ie to make an enquiry. 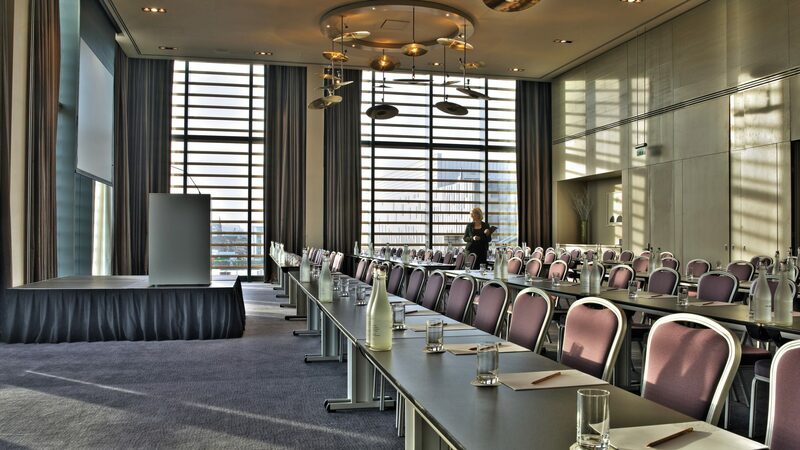 event venue: located on the third floor with soaring floor to ceiling windows, our stratocaster room boasts stunning 180 degree views of dublin port. at the gibson hotel, the stratocaster suite can easily accommodate up to 300 delegates – perfect for a product launch, annual general meeting (agm), awards ceremony, private dinner or hospitality before a big show. our suite, which is available to hire, incorporates a unique design meaning it can also be divided into three rooms, giving you freedom and flexibility to configure it to your exact requirements for your event in dublin. 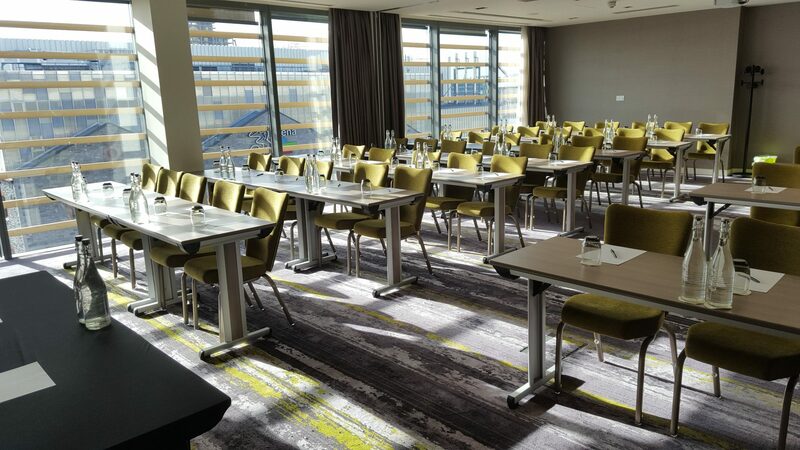 at the gibson hotel, we can accommodate up to 70 delegates at our alhambra suite in dublin city centre. 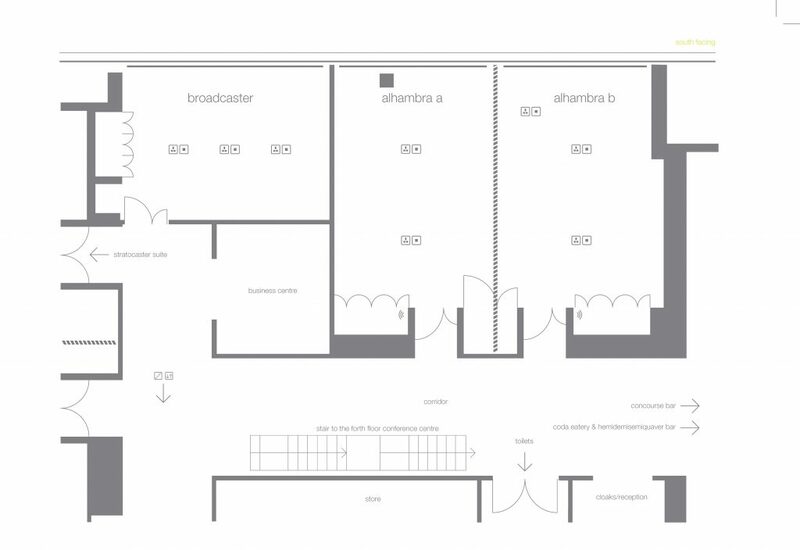 our suite also divides into two, in case you need a breakout room or annex making it the perfect venue for your event. the room, which is available to hire, can also host 50 guests comfortably for private dining in dublin. with enviable views of dublin port and the wicklow mountains, the cordoba suite oozes luxurious hospitality, perfect for entertaining guests before heading out into the city. boasting enviable views of dublin port and the wicklow mountains, the rickenbacker suite at the gibson hotel is ideal if you’re looking for a unique setting to hold a board meeting or intimate private dining for 16.